Minera Las Bambas is part of MMG Limited - a world-class mining company recognized as a leading producer of copper and zinc. 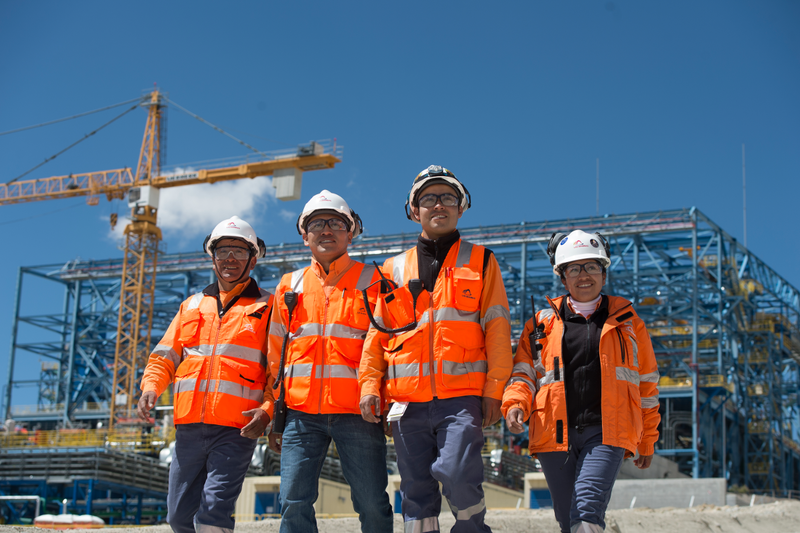 As a major employer in Peru, Las Bambas strives to create an inclusive culture by bringing together people of diverse backgrounds and experiences. We recognize the unique value that your contribution makes to the progress of our company and the communities in which we operate. The role of the Tax Accounting Coordinator is responsible for supporting and facilitating compliance with Peruvian tax requirements through accurate and timely periodic taxes determination for all the MMG Peruvian entities. This position also supports to Las Bambas Tax team with local tax audits inquiries, as well as liasing with GBS&T Document Control team to provide supporting documentation, as required. In addition, this position is expected to supports other financial reporting duties as assigned, including special tax projects, along with fixed asset management from a tax perspective. Participate together with Las Bambas Tax team, in the special review of the Tax Fixed Asset Register to minimize potential tax contingencies which may include: (i) development of the Tax FAR database (based on the Accounting “1 million-lines” database), (ii) reconciliation of the tax FAR database against Purchase Registers (2011 – Jun 2016) and Accounting General Ledger books (2011 – Jun 2016), validation of assets’ correct classification and depreciation/amortization keys, supervision and coordination of main assets supporting documentation files, etc. Participate together with Las Bambas Tax team, in the determination of the monthly tax-effect model (deferred and current); to ensure value-added is provided (e.g. monthly review of the Las Bambas expenditures nature to identify any non-deductible transaction, and to determine temporary/permanent classification), seeking for tax contingencies reduction. Ensure monthly VAT receivable reconciliation is performed as follows: monthly tax filing (PDT) vs purchasing/sales registers vs accounting, in order to review recoverability, foreign exchange translation and correct classification (current/non-current) of the VAT receivable balance. Perform in relation with Fixed Assets management, the following activities: validation of tax Depreciation & Amortization, review of monthly additions (correct classification and depreciation keys) and disposals (recognition and support documentation), and ensure appropriate supporting documentation definition for both additions and disposals. Get involved with the Copper & Molybdenum concentrate process to understand losses or reduction in quantity and unit price, as well as with the consumables and spares valuation process to ensure obsolete/written-off items are properly disposed from a tax perspective. Participate in and support ad-hoc interactions with any regulatory authorities (SUNAT, MEM, Activos Mineros, OEFA/OSIGNERMIN), as well as liaising with GBS&T Document control team to provide timely supporting documentation (physical or electronic). Supervise periodic tax compliance determination and filing including: Income Tax, VAT, ITAN, royalties, customs, OEFA, OSIGNERMIN, VAT Detraction/Retention for all MMG Peruvian entities, ensuring accuracy, timeliness and validity, as well as Peruvian tax compliance. Supervise timely periodic issuance and filing of Legal electronic books in accordance with SUNAT timetable, as well as performing periodic review of the balances validation (e.g. PDT versus accounting) to ensure accuracy and validity. Review and validate accounting entries and accounting adjustments related to taxes, as well as approving tax-related account reconciliations in Blackline, ensuring accuracy, completeness and timeliness. ¿What do you need to apply? Bachelor’s Degree in accounting, finance, economics, or a related discipline. Recognised accounting profession qualifications, e.g. equivalent of Chartered Accountant / CPA qualification. Degree in Peruvian taxation, laws and SUNAT guidelines. Minimum of 8-10 years in Tax Accounting and Compliance roles, minimum 2-3 years with a Supervision role. Demonstrated experience in corporate taxation role/s - minimum 3 years, involving undertaking compliance and audit activities on a routine basis. Corporate taxation processes and procedures. Relevant legislative / regulatory compliance requirements. Conceptual and detailed understanding of taxation processes and procedures. Financial Management, Corporate Finance, Treasury & Taxation theory and practices. International financial / accounting standards and practices. MMG financial accounting and control processes and procedures. As a company, we work to be the best in safety, environmental protection, production standards and operational excellence. We are an equal opportunity employer who values and respects diversity. If you share our values and feel that you could make a meaningful difference in this role, please apply online before the application closing date. Please note, screening and interviews may take place prior to the advertised closing date.